The Anti-Defamation League released a map that the group says includes anti-Semitic incidents, white supremacist rallies, extremist shootouts with police, extremist-related murders and extremist plots and attacks. 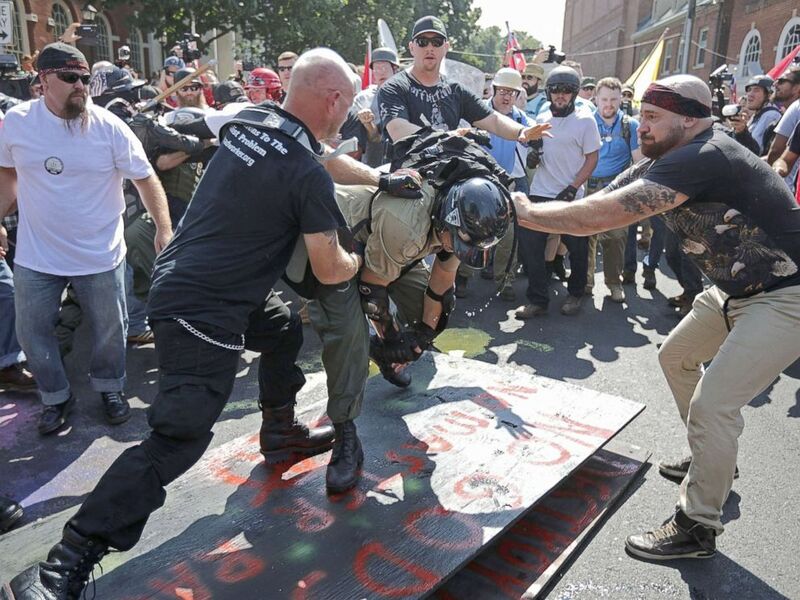 Selim told ABC News that the Unite the Right rally in Charlottesville last year was "very significant because it’s the first time that white supremacy really, since the civil rights movement, entered the public square." 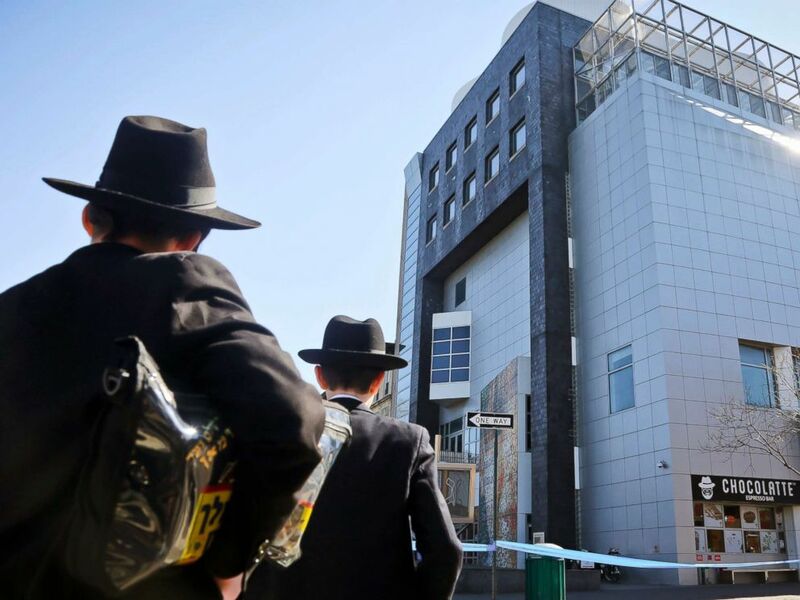 Two young men who left a nearby synagogue watch police activity outside the Jewish Children's Museum following a bomb threat in Brooklyn borough of New York, March 9, 2017. "White supremacy in this country is not going away," said Selim. "We’ve seen them evolve their tactics and techniques online. We’ve seen them effectively use social media to launch and spread their ideas." 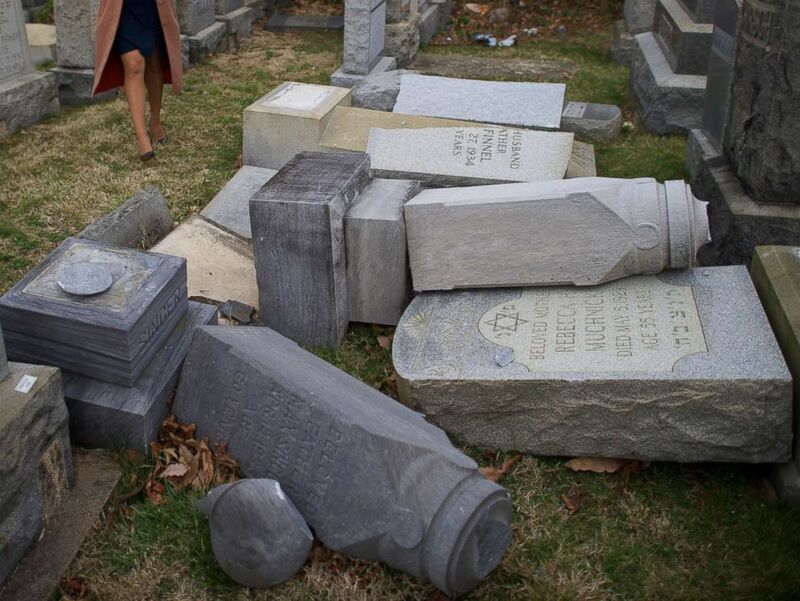 A television reporter broadcasts in front of vandalized Jewish tombstones at Mount Carmel Cemetery Feb. 27, 2017 in Philadelphia.